Crude oil is a complex mixture of many useful hydrocarbons such as gasoline, kerosene, butane, and motor oil. In order to be of use, these hydrocarbons must first be separated from each other. 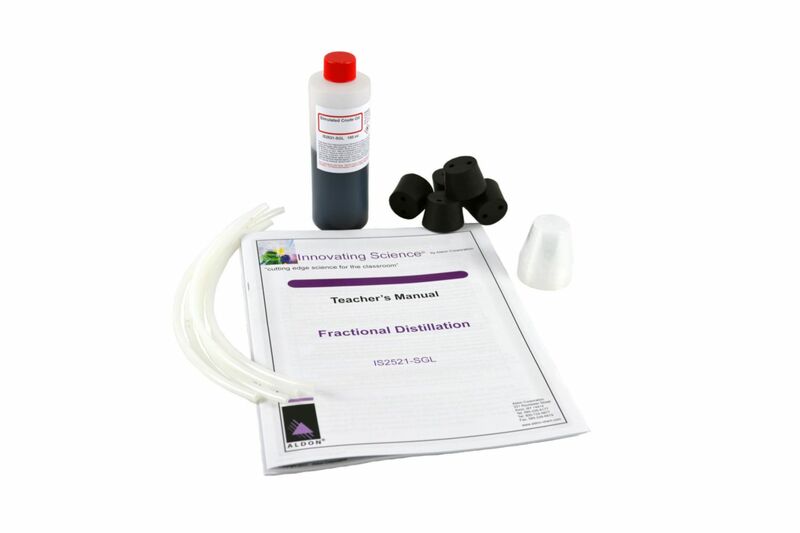 In this activity, students will complete a fractional distillation experiment to simulate the fractionation of crude oil. Topics such as boiling and condensation points, conservation of matter, and forces between molecules are covered as they factor into how a distillation is performed. Aligned to NGSS Standards PS1A, PS1B; HS-PS1-3, HS-PS1-5, HS-PS1-7; Patter and Energy and Matter.